Typically used by brewpubs and breweries to allow patrons to take home fresh beer straight from the tap, the Growler is certain to add class to any home brewery. For home brewers, a Growler is an easy and mess-free way to store your beer at home. The Glass Blasted Growler is made of thick amber glass and has a screw top, which will ensure your beer stays fresh for a week or longer. Properly sealed, the bottle will store your homebrewed beer as well as any other sanitized bottle. 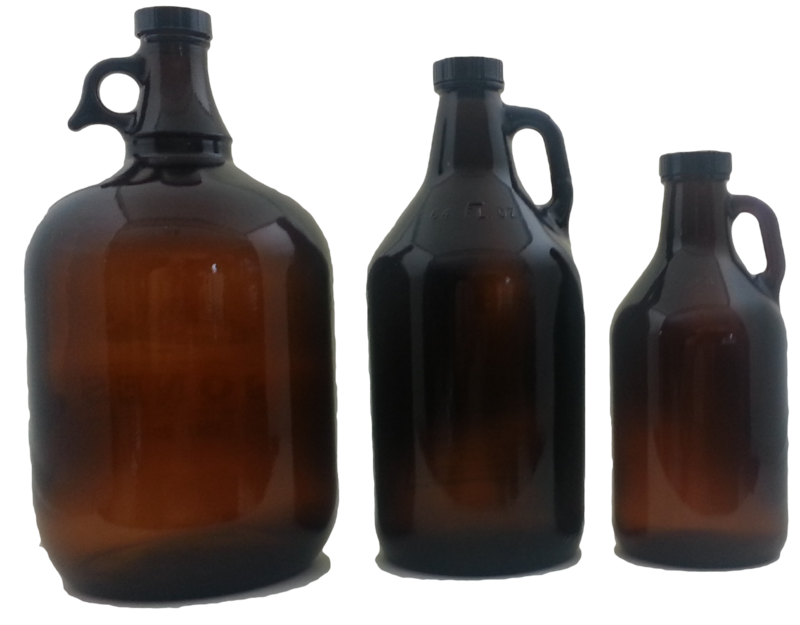 While the Growler more often preferred by craft beer enthusiasts is 64 oz (a half gallon), our Growlers come in three sizes: 32 oz, 64 oz, and 128 oz. Make sure to refrigerate when full for an approximate shelf-life of 7-10 days (2-3 days once opened).